Sofia Carson is an American actress and singer who gained international fame and recognition for her portrayal of Eve in the Disney Channel film series, Descendants. She is also famous for her starring role as Lola Perez in Adventures in Babysitting, as Melanie Sanchez in Tini: The Movie and as Tessa in A Cinderella Story: If the Shoe Fits. Sofia Carson was born on the 10th of April 1993, in Fort Lauderdale, Florida, United States of America. She is currently 26 years old. Birthplace Fort Lauderdale, Florida, U.S.
Sofia is the daughter of José F. Daccarett and Laura Char Carson. Her parents moved to the US from Colombia and her mother is from Char family of Colombian politicians. Carson attended St. Hugh School and graduated from Carrollton School of the Sacred Heart in Miami. She graduated from the University of California, Los Angeles (UCLA), majoring in Communications with a minor in Broadcast Journalism and International Relations. Sofia prefers to keep her personal life discreet from tabloids and thus there is not much information available of any relationship she has had in the past or in the present. In 2015, Carson made her acting debut with the Disney Channel Original Movie Descendants, in which she played the role of in Evie. She reprised the role in its sequel in 2017. Starring as Evie, the daughter of the Evil Queen from Snow White, in Descendants film franchise. Favorite Disney Princess – Belle from Beauty and the Beast. She has a net worth of $6 million. That money comes from her film and television appearances and occasional singing career. She attended In Motion Dance Studio, where she was part of the IMPAC Youth Ensemble program, competing all over the United States. Sofia is trained in several dance forms such as ballet, contemporary, flamenco, hip hop, jazz, musical theatre dance, pointe, modern, and tap. She also got training in classical singing. She is fluent in French and Spanish as well as English. Sofia shares a good bonding with Sabrina Carpenter, who is her best friend. 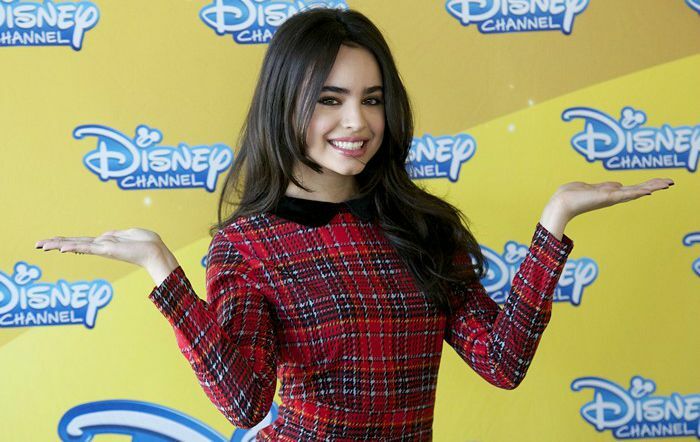 In 2012, Sofia Carson signed with BMI Records as a bilingual singer-songwriter (English and Spanish). Carson has been a cast in the upcoming Freeform television series Pretty Little Liars: The Perfectionists, in which she plays Ava.